The Philadelphia 76ers have been tanking for a few years now. Every roster decision of theirs is based on winning less games that given season in the name of the future. The process started with getting rid of Jrue Holiday after the 2012-2013 season. After that Evan Turner and Spencer Hawes were the next to go in the 2013-2014 season. In the 2014-2015 season Philadelphia got rid of Thaddeus Young and Michael Carter-Williams, who was supposed to be a center-piece of the rebuild. Those are the main players they have gotten rid of. The players the 76ers drafted tell the same story; Nerlens Noel, Joel Embiid, Dario Saric, and Jahlil Okafor. Besides Okafor, all of them were guaranteed to miss at least the one season immediately following their selection. For Noel and Embiid it was because of known, documented injuries, and for Saric it was an overseas contract to play European basketball. For all of those players it was well known that they would be raw in their first years, and that potential was their best attribute. In free agency, Philadelphia has been very economical to say the least. The biggest contract on last year’s team was the Javale McGee contract Philadelphia bought out from Denver. After that it is Jason Richardson‘s relatively low 6.6 million dollar contract, and after that are rookie contracts. Philadelphia has more cap room than any other team, and it is not even close. This is the problem. Philadelphia has overtanked. They now have three highly selected, at risk for injury big men, a bunch of second round picks that wouldn’t make any other NBA team, and a few washed up veterans. Tanking teams are supposed to get better each year after they start tanking, and Philadelphia has gotten worse. Trading away the rookie of the year as a tanking team for an unguaranteed draft pick was one of the worst decisions a tanking team has ever made. Michael Carter-Williams, that rookie of the year, is now leading the Bucks, who look to be among the Eastern Conference elite. Philadelphia is a relatively big city, and certainly a proud basketball city. Philadelphia should be acquiring young talent and luring top free agents instead of getting rid of young talent and scaring free agents. Philadelphia has the opportunity to get talent. All of that cap space is what was used to create the big three in Miami with LeBron James, Chris Bosh, and Dwyane Wade. I’m not saying that Philadelphia is in a situation where they could do that, nor would they be able to convince players to do that, but they can form a playoff team. With the 25 million dollars in cap space they have this summer, which becomes 35 million if they waive Gerald Wallace, they could sign a star. Even two stars with 35 million. Pair a good back court with Dario Saric, Nerlens Noel, and Joel Embiid/Jahlil Okafor and that is a playoff starting lineup. Mike Conley, Eric Gordon, Lance Stephenson, Joe Johnson, Dwyane Wade, Rajon Rondo, Brandon Jennings, OJ Mayo, Bradley Beal, if Philadelphia can get two of those guys in 2016 free agency, and get Saric to come play in the NBA, they immediately become a playoff team. Unfortunately for 76ers fans, Hinkie’s mindset is tanking. He is so obsessed with the idea of tanking, that he will see good improvement only as a delay to his tanking plans. It is why he traded Michael Carter-Williams last year, why he drafts injured players, and why Philadelphia hasn’t made the playoffs since 2012. 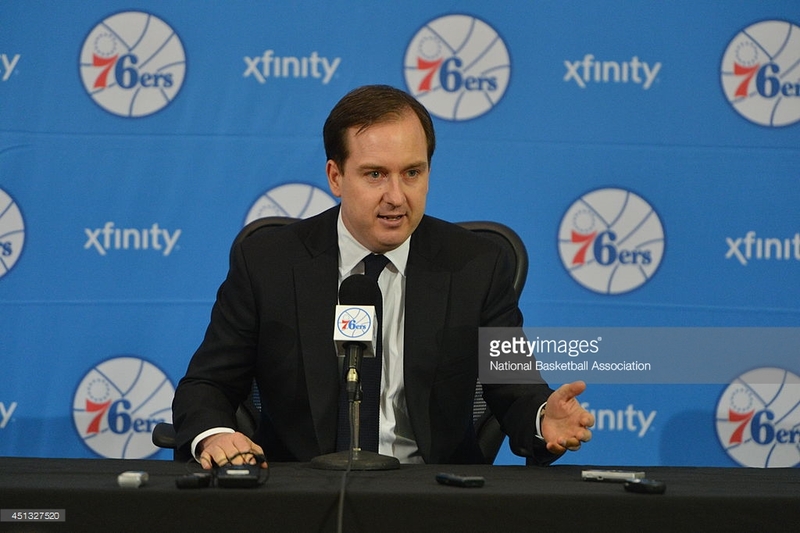 Hinkie has to change, or his employment status does, when the opportunity comes for Philadelphia. 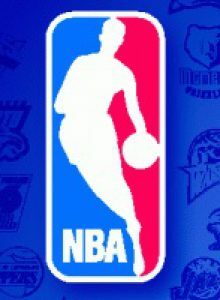 Next Post Should the Bulls Trade for Rudy Gay?